February 14 turned out to be a cold and snowy day in Chicago, fitting for the death of a friend. 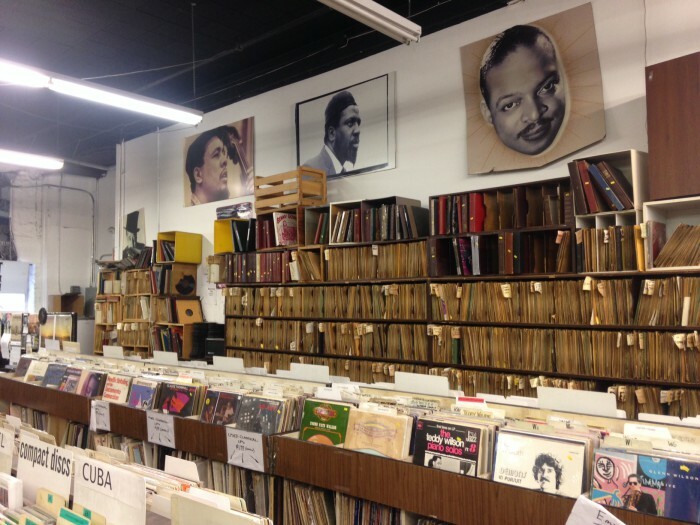 On what was a bittersweet Valentine’s Day for music lovers, it was the last day that Jazz Record Mart was open to the public. For them, the store, located at 27 E. Illinois St., was more than a store. It was a gathering place — a place to listen to music, learn about artists, talk to store employees and other customers and listen to in-store performances which took often took place on Sundays. 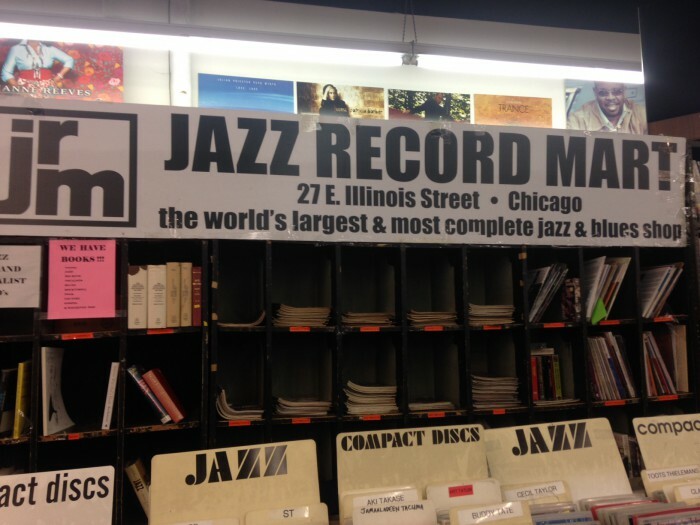 For fans of it, Jazz Record Mart was like a reliable friend: reliable, comforting and never mad when you didn’t visit for long stretches. Perhaps that last trait was what killed it, along with the doubling of the rent to $12,000 a month that was set to begin soon. The owner, 83-year-old Bob Koester, is an institution in this city and has done more for Jazz and Blues than anyone since probably Leonard and Phil Chess. Koester has the right to retire, and I am very happy that his label — Delmark Records, will be taken over by his 53-year-old son. While the loss of the store is huge, the survival of the label is even more important. Much has and will continue to be written about the loss of a unique place, much like when an old restaurant closes. 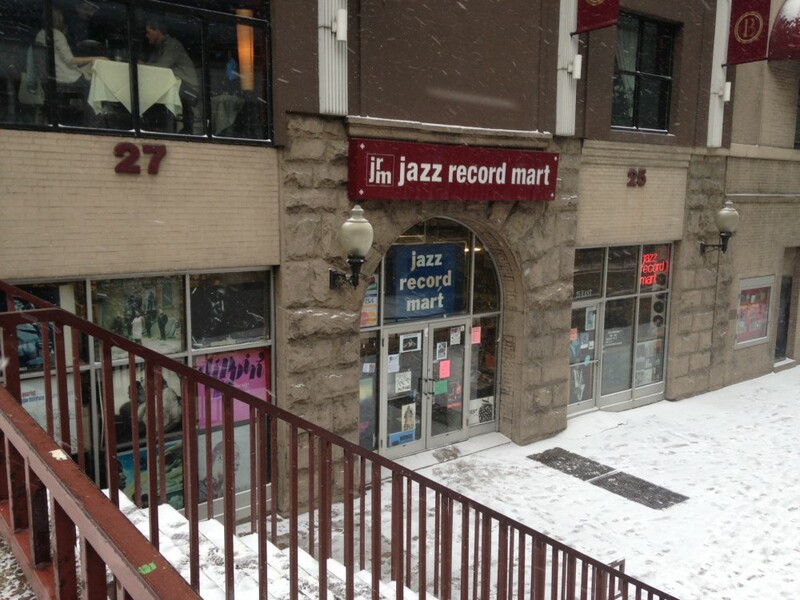 In the case of Jazz Record Mart it is a shame, for it was much more than a store. I’m adding some pictures and a short video to this column, but they cannot adequately capture the experience of the place. Pictures cannot capture the smell, the feel, the art that was the album covers on the thousands of records that you could browse through and the great tales written on the liner notes of those same albums. While the store closing is too bad, when a unique place like Jazz Record Mart closes, it usually happens for a reason. In the case of restaurants, it’s usually because the same people who are crying its closure didn’t support it as much as they should have when it was open. Other times, it’s because the owner just wants to retire. Whatever the reason, it is a loss. Places like that are what make each city its own. This tale has been told before and will be rehashed every time a Hot Doug’s or Berghoff or Jazz Record Mart closes. 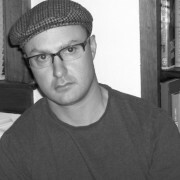 My sadness and concern is for the jazz and blues genres. Chicago often bills itself as the home of the blues. Chicago is where blues was electrified, which led to Rock and Roll. Chicago also has been a huge jazz town. Both genres have been on the ropes for years in this city. If this sounds like a song that you’ve heard before, you have. What will happen if Andy’s or Greenmill closes? If Chicago had leaders who cared about the arts and weren’t short sighted, we would have had a blues and jazz district established years ago. It could have rivaled the French Quarter in New Orleans, and certainly put Beale Street in Memphis to shame. That’s a discussion for another day. 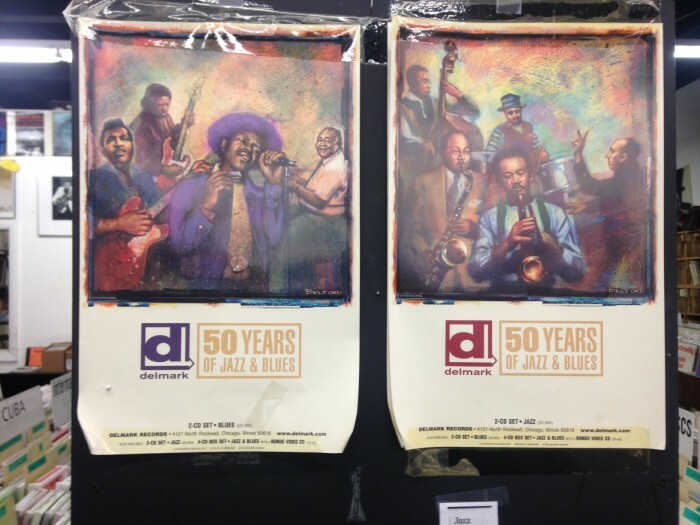 For now, I’ll leave you with some pictures and a short video of the Jazz Record Mart, and a thank you to Bob Koester for his more than 60 years of keeping jazz and blues alive. 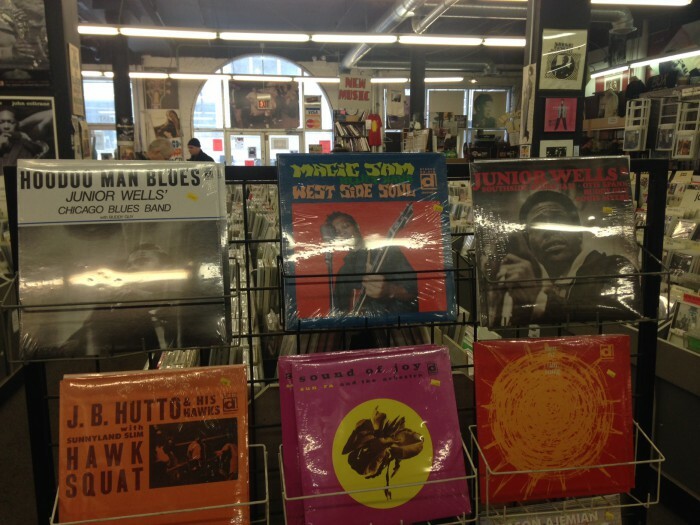 Ironically, the store’s closing has given its fans more reasons to have the blues. Truly sad for Chicago to lose such a cultural institution. 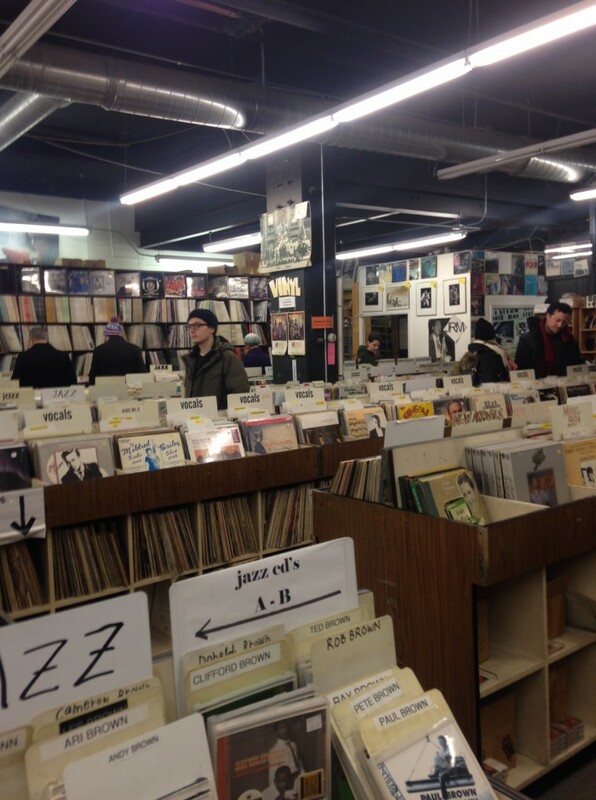 This store fueled my passion for jazz in junior high and I’ve been playing ever since. It was great to see everyone come out last weekend to send it off. I’m glad I got the opportunity to thank Bob for all that he’s done for the city and the music.